The most lucrative method of making money online is through affiliate marketing. A.M. is a revenue sharing plan in which a merchant agrees to pay an online affiliate a percentage of money for each sale they make or for each visitor they bring to a website. But how do an affiliate and a merchant find each other? That is where affiliate networks come into play. What exactly is an affiliate network? An affiliate network is a like a middle man — Acting as an intermediary between the two parties making it easier for affiliates to find affiliate programs that suit their needs while making it more convenient for merchants to target a larger demographic. These networks are convenient for all parties involved. Although they are typically free to join if you are an affiliate, it can become rather costly for merchants. Not to mention, many networks have a wide variety of products and / or services available so it is highly likely that there will be something for everyone, regardless of the niche. What are some of the top affiliate networks? 1. ClickBank — This site has over 10,000 products that deal mostly with digital downloads. The commissions are usually higher than other sites ranging from 40% to 50% and are paid out every two weeks. This is an easy to use site that offers superb tracking. 2. Commission Junction (CJ) — Currently owned by ValueClick, this site offers commissions ranging from 3% to 15% along with performance bonuses and incentives. In addition, CJ offers invaluable training sessions and seminars. Payments are made once a month and they do offer direct deposit. 3. 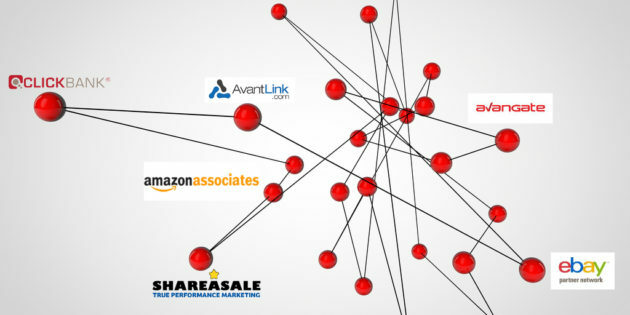 LinkShare — Similar to Clickbank and CJ, this site has some of the best tracking and stats available. With tons of Fortune 500 companies listed, it is very easy to find a company and product to promote. Payments are made once a month. 4. Affiliate Window — This is a UK based network that offers top brand companies, monthly payouts, and good commission rates. 5. Amazon — Amazon.com has become a trusted household name which makes it very easy to sell products from this site. Although the commission rates are somewhat lower than other sites, the trust that this name carries far outweighs this slight inconvenience. Payouts are now made once a month. 7. Google — Okay, so Google isn’t your traditional affiliate website, in that it doesn’t offer products for you to promote but via its AdSense program it can be extremely lucrative. Payments are made monthly. 8. LinkConnector — This site, which was launched in 2004, is still fairly new but has a lot of promise in that it offers many different types of affiliate programs. 9. CPA Empire — This site is geared towards affiliates who work mainly with email marketing and promotions, acquiring leads, and sign ups. 10. RevenueLoop — This is a great site that gives affiliates 100% of the profits minus just a small fee! In addition they provide personalized customer support. Why should I choose an affiliate network as opposed to using my own in house affiliate program? If you are just starting out in affiliate marketing, it is best to use an affiliate network because they offer support and training. It will help to get your feet wet. Once you become a more established affiliate marketer, there is nothing wrong with using your own in house affiliate program as they tend to have higher payouts. However, affiliate networks will assist you in getting started and getting your name known to merchants. Sounds great! But what are the negative aspects of using affiliate networks? Even though affiliate networks offer numerous benefits, there are also a few disadvantages to using these services. For example, some sites may require a fee to sign up which can be frustrating considering many people start this venture to make money, not spend money. In addition, all the links you post must go through the affiliate network and all of the program promotions are intended to be advantageous to the network, not the affiliate. So, now that I know what affiliate marketing is, the advantages and disadvantages of affiliate networks, and the best affiliate networks available, how do I actually make money? The first step to making money using affiliate networks is to find a niche or specialty. Poker, mortgage, and education seem to be the top three best affiliate markets. Once you have decided on your niche, the second step is to build your own website or create your own blog because you will need to have a place to promote your products. Be sure your site is easy to use and eye catching. Content is king so be sure you have a lot of useful information — preferably information that other sites are lacking. Third and probably most importantly is to drive traffic to your site. Traffic is what the visitors to your site are called. The more traffic you have, the higher probability that they will click on your links. You can drive traffic to your site by promoting it on social networking sites, blog listing sites, and article submission sites. These three steps should be mastered prior to joining any affiliate network or promoting any products. The fourth step consists of finding products that match your niche and fit in with your site. Create links to your affiliates and encourage your visitors to want to click on your links.